Will the Arab League Continue to Falter on the Palestinian Issue? “Moderate” Extremists in Syria’s Idlib Threatened by Own Success? Who is Abu Bakr al-Baghdadi and How Did ISIS Come to Be? Eight Years On: Does Gaddafi’s Son’s Run for Election Mean the Libyan Revolution Failed? 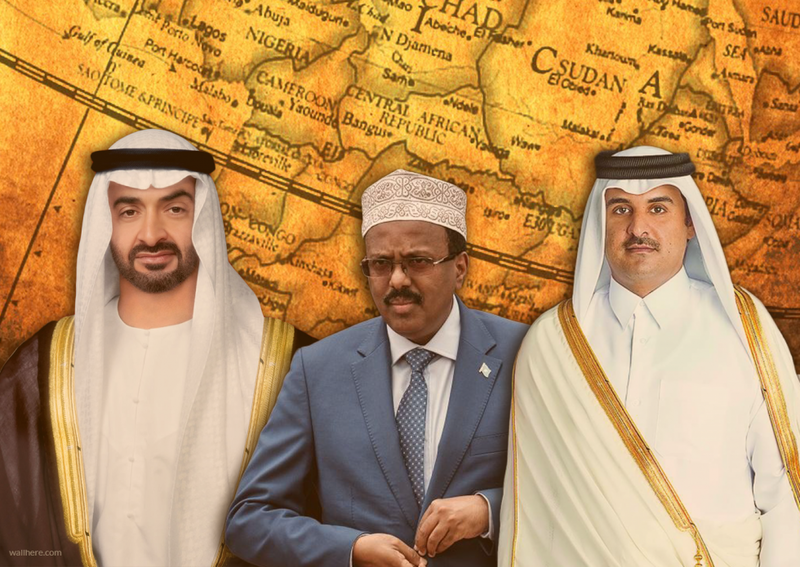 Amid their ongoing Gulf diplomatic crisis, Qatar and the UAE’s battle for hegemony over Somalia, a nation which has long struggled to maintain its territorial integrity, threatens the country’s sovereignty and stability. Situated in the Horn of Africa, Somalia has historically been a fragile and unstable state. Given its strategic location along the Bab el-Mandeb Strait, which links the Red Sea to the Indian Ocean, Qatar and the United Arab Emirates (UAE) have been using it as a springboard for their growing regional ambitions since the Gulf crisis erupted in 2017. Their fierce rivalry is now threatening Somalia’s sovereignty and territorial integrity. Despite Mogadishu’s attempts to mediate between the two countries to end their standoff, Abu Dhabi has accused Somalia’s central government of aligning with Doha. In turn, Somalia has accused the UAE of disrupting Somali unity by supporting Somaliland, a northwestern breakaway Somali state. During the European scramble for Africa, Britain set up a protectorate over Somaliland in 1887, while Italy occupied the rest of Somalia in 1889. After more than 70 years of colonization, Somalia gained its independence from European powers in 1960 and then formed the United Republic of Somalia. After more than 70 years of colonization, Somalia gained its independence from European powers in 1960 and then formed the United Republic of Somalia. The new nation experienced only nine years of parliamentary democracy before Mohamed Siad Barre led a military coup to overthrow the civilian government in 1969. During Barre’s rule, Somalia, which had splintered into competing clans and subclans, suffered from a crippling drought and famine. After the overthrow of Barre in 1991 by rebel organization the United Somali Congress, a large-scale civil war broke out between two warring clan lords, Mohamed Farah Aideed and Ali Mahdi Mohamed. Somaliland eventually declared independence from Somalia. In 1992, a peacekeeping mission, spearheaded by the U.S., intervened to stop the unrest, but the mission ended in failure three years later without having restored stability. The 20 years of anarchy and instability that followed devastated Somalia, leaving it vulnerable to terrorism and piracy. The Fund for Peace, an American non-profit research organization working to “promote sustainable security,” listed Somalia as the world’s most fragile state between 2008 and 2013, primarily due to the absence of central authority. Although a transitional administration was established in 2004, it was not until August 2012 that Somalia finally became a sovereign nation and the Federal Government of Somalia was internationally recognized. Notwithstanding its declaration of independence, Somaliland has yet to achieve international recognition as an independent state, although it is recognized as an autonomous region of Somalia. As Somalia sought to recover socially and economically, the UAE, which has commercial interests in the region, forged ties with Somaliland. At the same time, Somalia’s central government consolidated relations with Qatar and Turkey. When Saudi-UAE-allied countries severed relations with Qatar in early June 2017, Somalia was one of many Arab countries to remain neutral. Yet Abu Dhabi took Mogadishu’s neutrality as tacit support for Doha, which put a strain on relations between Somalia and the UAE. Abu Dhabi criticized Somalia’s position of neutrality under President Mohamed Abdullahi Mohamed, also known as Farmaajo—whose electoral campaign was funded by Qatar in 2017. The UAE condemned Farmaajo for cementing ties with Qatar and Turkey; some months later, Farmaajo accused the UAE of financially supporting separatists in Somalia. Tensions between Somalia-UAE spiked in March 2018 when Somalia objected to an Emirati-Somaliland port agreement. Somalia said that the UAE had undermined its sovereignty by bypassing direct negotiations with its central government. A month later, frictions mounted again when Somalia held an Emirati plane at Mogadishu airport, and confiscated $9.6 million in cash. The UAE claimed the money was intended to pay the salaries of the Somali soldiers the UAE had trained since 2014 as part of an African Union military mission to curb terrorist insurgency, but the Somalian government rejected the claims. The UAE retaliated, closing a hospital that offered free medical care. The UAE retaliated, closing a hospital that offered free medical care. It then invested heavily in Somaliland, and began training Somaliland forces and building a military base in 2018 that included a coastal-surveillance system from which the UAE now backs the Saudi-led military intervention in Yemen against the Yemeni Houthi rebels. The UAE also maintains a military base in neighboring Eritrea. Filling the vacuum left by the UAE, Qatar soon launched investments in Mogadishu, and supported Somalia’s forces. It supplied 68 armored vehicles in early 2019, taking advantage of the presence in the country of Turkey’s biggest overseas military base where more than 10,000 Somali soldiers were trained. Qatar and the UAE are driven by their geopolitical interests in the Horn of Africa. Doha’s approach has relied heavily on the consolidation of its ties with the sovereign central government in Somalia seeking its political support. It has also viewed Somalia as a sphere of influence to minimize the impact of Abu Dhabi’s blockade. Qatar views Somalia as a strategic regional base from which to alleviate the Saudi-UAE-imposed blockade against it via indirect flight routes in the region. Qatar Airways’ traffic over Somali airspace has significantly increased. In contrast, the UAE’s interests in Somalia had been solely driven by economic and strategic factors. Its engagement with secessionist Somaliland has been an opportunity to expand its economic and military clout in the region. With Dubai’s Jebel Ali port being the most congested port in the Middle East, the UAE has started building and expanding other ports in the Red Sea and the Arabian Gulf to monopolize trade in the area. With Dubai’s Jebel Ali port being the most congested port in the Middle East, the UAE has started building and expanding other ports in the Red Sea and the Arabian Gulf to monopolize trade in the area. Somaliland’s location on a key shipping route in the Red Sea has given the UAE an opportunity to develop a port and free zone in Berbera on the Gulf of Aden. The UAE has since been gearing up to control all trade flows through the Bab el-Mandeb Strait. Now, as the Gulf crisis continues, the UAE’s and Qatar’s divergent interests are likely to aggravate intra-Somali disputes. While foreign investment is key to the development of a country that has long experienced instability, the UAE’s investments in the autonomous region of Somaliland may end up jeopardizing Somalia’s still shaky territorial integrity. 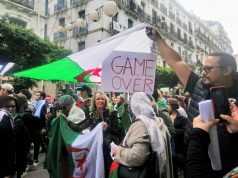 After Algeria’s President Withdraws Re-election Bid, What Next? Will Mohammed bin Salman prove Orwell Wrong? Or Will He Be the New “Napoleon”? Djinn in Muslim Culture: Truth or Superstition? Culture Muslim Moriscos converted to Christianity under duress, faced racial discrimination and systematic marginalization by mainstream Catholic Spaniards in Renaissance Spain. They were eventually exiled from their Iberian homeland, but their legacy remains. Book Review Alaa Al Aswany’s 2018 novel “The Republic, As If” follows the events of Egypt’s 2011 revolution through the perspectives of both protesters of Mubarak’s regime and citizens set on upholding it. Music Lebanese musical icons Fairuz and the Rahbani brothers, Assi and Mansour, are credited with revolutionizing modern Arab music. 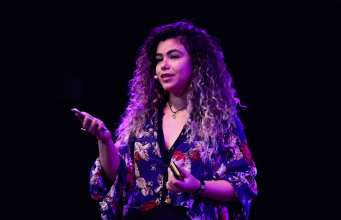 They are also renowned for using their artistic voices to champion social and political causes in Lebanon and the wider Arab world. Culture Marcello Bonatto and Alexandra Clare co-founded Re:Coded in 2016. The nonprofit is the first coding bootcamp for displaced youth in conflict-affected countries. The inspiring initiative reimagines the way the world thinks about the potential of young people, no matter their circumstances or background. Politics Seeking the blessings of Egyptian, UAE, and Israeli intelligence agencies, the most controversial Palestinian figure accused of financial corruption is poised to replace Palestinian President Mahmoud Abbas. Politics The eventual establishment of an independent Palestinian state appeared indisputable and inevitable when the Arab League wrote its charter in 1945. Over the past five decades, the organization’s support of the Palestinian cause had gradually diminished to reflect the increasingly normalized relations between Israel and countries in the Arab world. 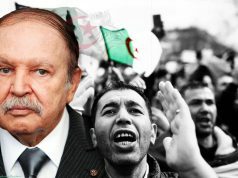 However, the League’s recent summit in Tunis reaffirmed the pan-Arab organization’s historic position advocating the cause. Politics Amid their ongoing Gulf diplomatic crisis, Qatar and the UAE’s battle for hegemony over Somalia, a nation which has long struggled to maintain its territorial integrity, threatens the country’s sovereignty and stability.